A4 PU zippered tech portfolio. 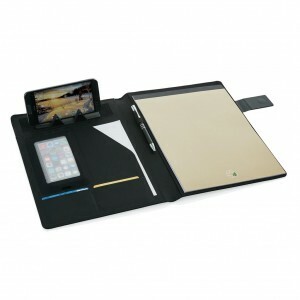 Inside: a phone/tablet stand, phone holder with see-through window which allows you to view and access your mobile device. Suitable for iPhone 6 & Samsung S6 etc. Gadget holders for example USB stick, charging cable & powerbank. 5 card holders and one ID holder. 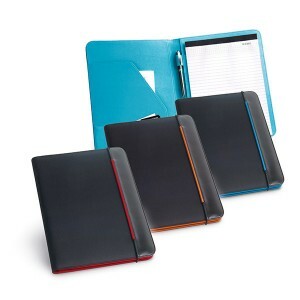 Expandable file pocket for documents or tablet. Including 1 A4 memopad with 20 sheets. 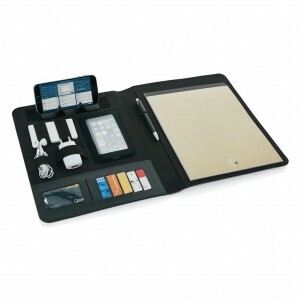 Compatible with all iPad, Android, and Microsoft Windows tablets. Tech portfolio with 4000 mAh powerbank. Including phone/tablet stand and phone holder with see-through window which allows you to view and access your mobile device and several gadget holders. Output 5V/2.1A, input 5V/800mAh. A4 linen tech portfolio. 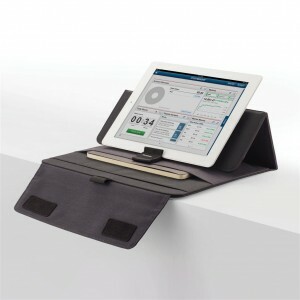 Inside: a phone/tablet stand, phone holder with see-through window which allows you to view and access your mobile device. Suitable for iPhone 6 & Samsung S6 etc. Gadget holders for example USB stick, charging cable & powerbank. 5 card holders and one ID holder. 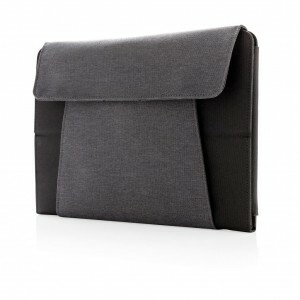 Outside zippered pocket for documents or iPad/tablet. Including one A4 notepad with 20 sheets. 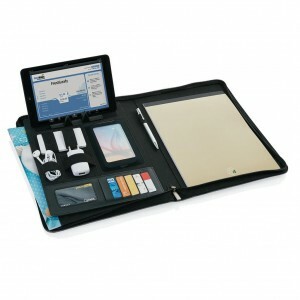 Compatible with all iPad, Android, and Microsoft Windows tablets. 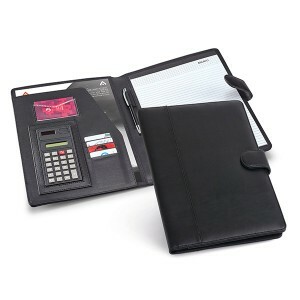 A4 portfolio with 2 usefull front pockets and large front sleeve. 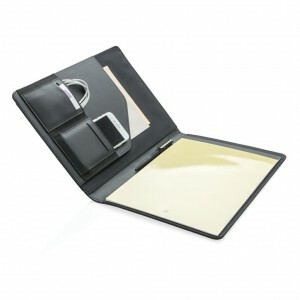 Inside with sleeve for documents, 4 card holders and pen loop. Including recycled A4 notepad. 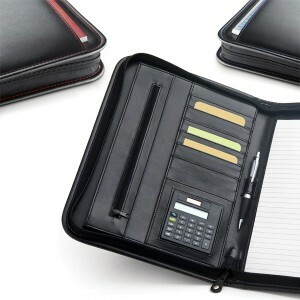 Zipper portfolio with zipper closure, zippered pocket and slide in pocket inside, 4 name card holders, USB pocket and pen holder, including A4 writing pad with beige cover, 20 sheets recycled paper with recycle logo. The Swiss Peak Heritage collection speaks the language of modern elegance. Comes with iconic Italian PU cover with luxury silver zipper . 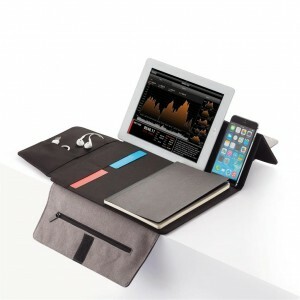 The inside provides a tablet/phone stand, gadget holders, business cards slots, sleeves for your notes and papers. With A4 notepad. The Swiss Peak Heritage collection speaks the language of modern elegance. Comes with iconic Italian PU cover with luxury silver zipper. 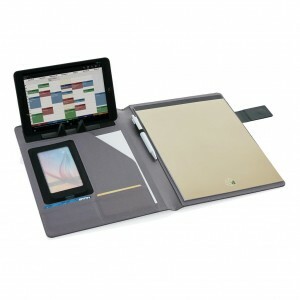 The inside provides a phone stand, gadget holders, business cards slots, sleeves for your notes and papers. With A5 notepad.